In an alternate world, he constantly ponders about what kind of role is he actually designated as. Today, the weapon shop uncle and the ghost loli are working hard as well. I like this. Someone please translate this! Incorrect link posted for chapter one. Oh wow, I didn’t realize that it had a cover now, it didn’t previously. Thanks for the info! Ill give this a shot assuming its a heartwarming father daughter relationship and not romance lol.. Better not be like Usagi Drop or something pedophiliac like Death March. I’ve re-read this a couple times… I want MORE. I really want to know the answer as well. Hopefully a yes at that. Yes, I’m still planning on translating this. However, I’ve been really busy lately, so I’m really sorry for the wait. I should be able to update soon in the next few days. Is the translation officially dead? 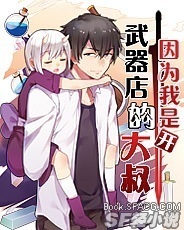 Hi, I translate with DokuHana for this novel, and I’ve been updating in on her blog. Could I still host chapters on moonbunnycafe? Yes. Message me via contact form! Thx for the translation. Compared to other translated novels you’re pretty good at this. is there an epub for this? is there an elub for this?